Ghostly Visitors: Why Are They Here? In most cases, we react adversely to the supernatural because we don’t understand why they are here. So many times, we turn on the TV and see a commercial for a show or a preview for a new movie that has something to do with ghosts. No disrespect to Hollywood, but what we see in the standard horror movie does not typically occur in reality. Ghosts and spirits that we normally meet are not here to hurt us. On the rare occasion that we encounter a spirit that is malicious. Right now, let’s consider the more commonly dealt with entities to reduce any unperceived ideas and unwarranted fears. A majority of the entities that you are likely to meet are spirits that are just passing through or attempting to crossover to the other side—not meaning to scare us or hurt us. Quite to the contrary, they are searching for help. Sometimes, when people leave this world, the soul is unable to make the trip to the afterlife. Generally, based on the nature of their passing, they are souls trapped between our world and the next. They come to us either with unfinished business, or with a ‘guiding light’ to the other side. There are situations where spirits surrounds us that we will more than likely never see. Spirits of departed loved ones sometimes stay bound to this world by the care that they hold for us. There is no unfinished business, except for their own wish to see the ones that they love move on and find happiness. These souls will stay on the other side once we have reached a point in our lives when we have moved on from the link and begin a new level of happiness. This doesn’t promise that we have to develop a new relationship or find a new love, though. Our departed loved one will then be satisfied that we have recovered from our loss and regained our happiness. The most commonly accepted form of spirits or ghosts are what we call guardian angels. 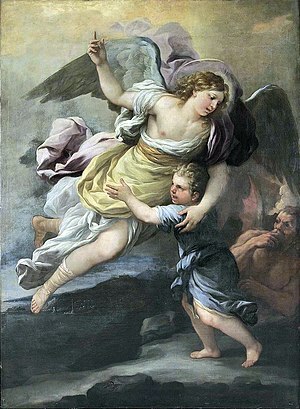 While there are occasions where a person’s sponsor is someone related to them (for instance, mine is my older brother who passed on before I was born), a guardian angel is just an utterly good-hearted spirit devoted to helping us pass the bumps in our own path. These spirits will be with us for our whole lives, though rarely seen. Therefore, in the rare event that you are proficient with even the smallest glimpse of your guardian angel, cherish that moment and the information that you are never truly alone. Many times, people become agitated when they realize that the spirits around them are interacting and won’t leave. Again, these spirits and ghosts do not wish us harm or distress. They are clearly in need of our service or they are trying to lead us in the right direction. The things that they do, such as moving objects, meant to draw our attention. What we do once they gain our attention is usually the cause of trauma and danger. In most cases, we react adversely because we don’t understand why they are here. If we take a moment to remember that most of the supernatural entities that we meet are not inherently evil, and interact instead of running. We will find that our part would be enough to support these spirits, allowing them to go on. In the case of those spirits that are trying to help guide us, once we decide to the way they are showing us, they will usually become inactive, at least until they again feel needed. The best advice that I could give you—continue to keep an open mind and an open heart, not to judge, simply because they are trying to understand their own situation.